I wrote freelance in the health and fitness industry for twelve years before re-committing myself to my first love - writing fiction. After publishing several short stores for kids, I wrote and published my first novel, POD (namelos.com Penguin/Ace), a YA scifi survival story set in Prosser, Washington and Los Angeles, California. My second novel, BAD CALL (2017 with Disney/Hyperion) is a YA survival thriller set in one of my favorite stomping grounds, Yosemite National Park. 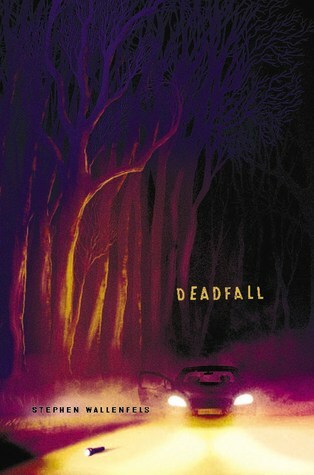 My third novel, DEADFALL, December 2018 - Disney/Hyperion) is another YA survival thriller set in the Pacific Northwest. I grew up in the northeast and enjoyed backpacking and later, during my college years in California and Montana, rock climbing and wilderness survival. My favorite books to read (and write) are centered around real characters dealing with extraordinary circumstances and how they rise to meet those challenges. My passions are my family, reading, writing, cooking, racquet sports, and the environment--particularly climate change. The basic rule in wilderness survival is shelter first.